Winner of the Man Booker Prize, Alan Hollinghurst's The Line of Beauty is a classic novel about class, politics and sexuality in Margaret Thatcher's 1980s Britain. It is the summer of 1983, and young Nick Guest, an innocent in the matters of politics and money, has moved into an attic room in the Notting Hill home of the Feddens: Gerald, an ambitious new Tory MP, his wealthy wife Rachel, and their children Toby and Catherine. Nick had idolized Toby at Oxford, but in his London life it will be the troubled Catherine who becomes his friend and his uneasy responsibility. Innocent of politics and money, Nick is swept up into the Feddens' world and an era of endless possibility, all the while pursuing his own private obsession with beauty. 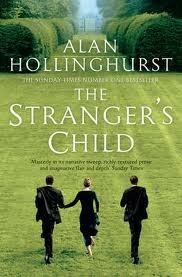 The Line of Beauty is Alan Hollinghurst's Man Booker Prize-winning masterpiece. It is a novel that defines a decade, exploring with peerless style a young man's collision with his own desires, and with a world he can never truly belong to.